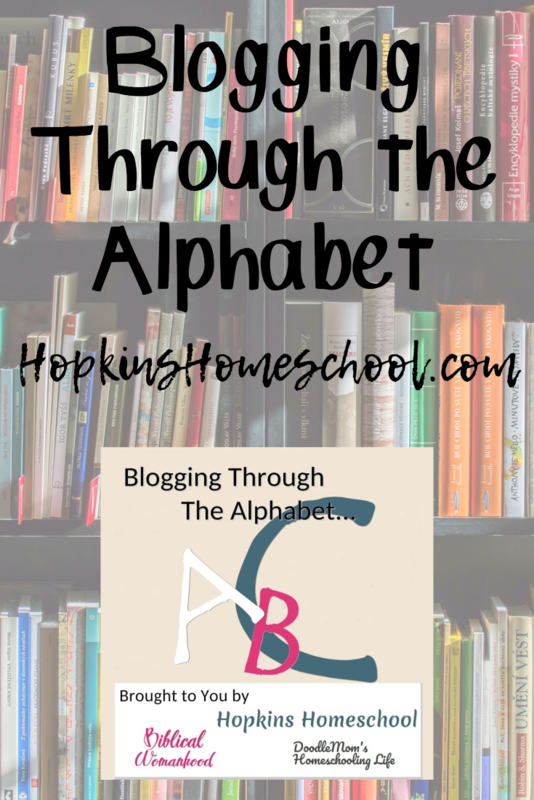 We want to welcome you to another week of Blogging Through the Alphabet! Kirsten from DoodleMom and DaLynn from Biblical Womanhood are excited to see another week of what everyone has to share with us! This week, we are sharing the Letter O, and we can’t wait to see what you have to share with us. This week I once again have two books that start with O that I want to share with you. One that I cried while I read it and one that I just found that I wish I would have known more about. These two books are currently holding a place in our homeschool, and will for years to come! The first one that I want to talk about is Owl Moon. I had never heard of this book until I started homeschooling.The funny thing is, we had it on our bookshelf, but I didn’t know how great it really was. Once I started working through Five In A Row with Ray Ray, I pulled this book off the shelf and fell in love. 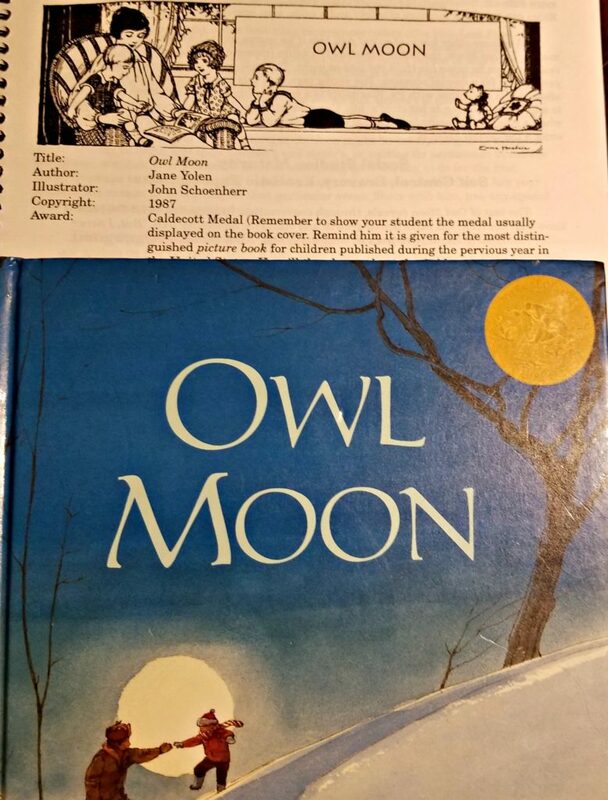 Owl Moon is a book about a father and a son who go out looking for an owl. With this book, we are able to focus on nocturnal animals and how they are awake at night and sleep during the day. 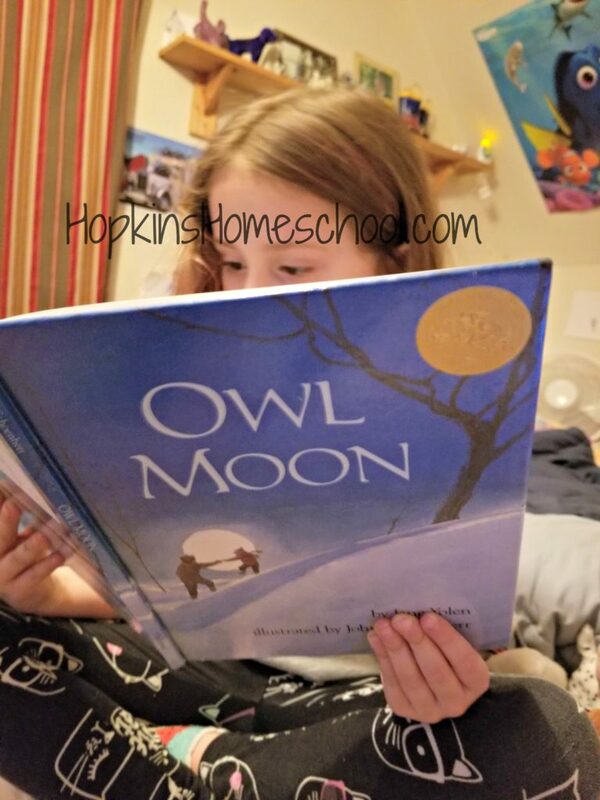 I love the nocturnal animal unit that HomeschoolShare.com shares, and we are able to use this book with that study for a quick nature study. My favorite part about this book is that the pictures, while great, don’t show everything that the words of the book talk about. The kids have to take a moment and think about the words they are hearing. This makes my children actually focus on the words, as they know I am going to ask questions. I love that they are building their listening and imaginative skills while listening to me read a simple book. This is one of the books in FIAR that has MANY pages of ideas. There is so much to learn from such a simple book. I regret not reading it sooner and using it longer! 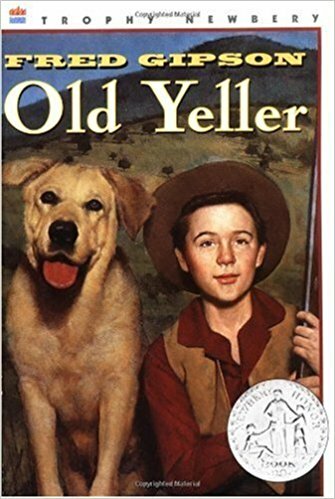 The second book I want to mention for the letter O is Old Yeller. Tell me that you don’t have those heartstrings pulled as soon as you hear that title! This book had me crying and not wanting to finish, yet at the same time, I couldn’t put it down! Moe Man has read this book, it was one of the first that I had worked on with him when we started homeschooling. I went all out and found the book study that goes with it and laid out all the lessons. I found out very quickly how homeschooling is not always like that. Moe Man had a few issues with reading the book, he didn’t want to read it, and he didn’t want to work on the study guide that came with it. Now that Ray Ray is getting ready to read it, I have decided to try things differently. This time around I plan on asking the questions and getting a verbal response. This book can be so emotional that sometimes the kids cannot write how they really feel. I want to be able to discuss those feelings, and being one on one with the kids allows me to do this for them! These two books are must-haves for our homeschool. I don’t look forward to Little Miss with Old Yeller, but at the same time, I think she will be the one to most relate to it. 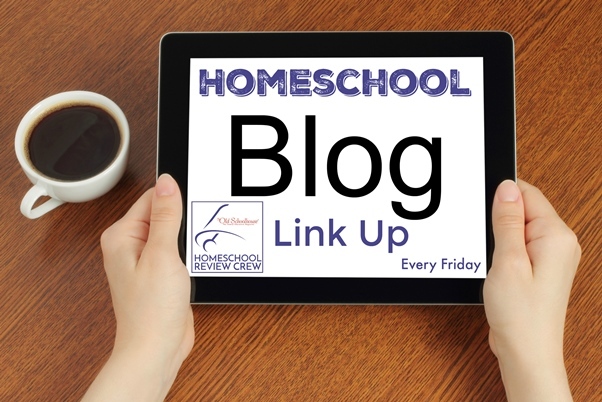 Have you read these books in your homeschool? What is your favorite O book?